5.56mm Calibre. Backup combat sight located above optical scope. 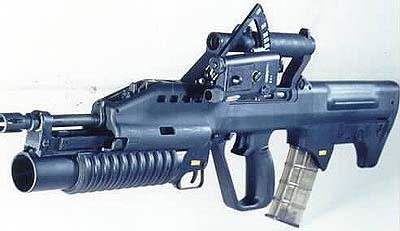 M203 Grenade Launcher.